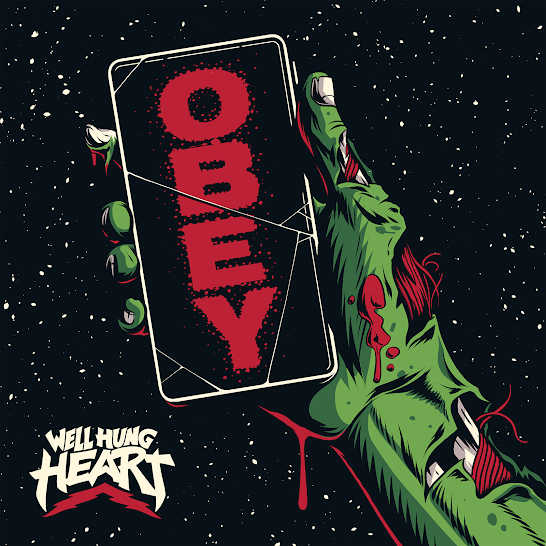 California-based rock and roll band Well Hung Heart has released the first song & music video from their forthcoming album, "OBEY", a dystonia glam rock anthem for today’s times. Lead singer Greta Valenti explains, "We wanted to release "Obey" first as it is the most direct message with kind of an ominous warning to it. The song itself has a very fun swagger, but with an underlining sort of biblical warning to it all. It’s also a tribute to John Carpenters's film "They Live" and George A. Romero’s "Night of the Living Dead" but brought into today’s environment of social media and these screens that we get sucked into." The music video for "Obey" features a guest appearance by Noodles from The Offspring, whom Well Hung Heart opened for in 2017. The song is the first taste of what is to come for their upcoming album, "Songs for the End of the World", to be released later this year with an accompanying visual album, and followed by a feature-length horror film with US & European tour dates.